Furface Checking The Nasturtium Patch For Flower Cats. Higgledy Flower School 2016. #26. Nasturtium. Ok…Nasturtiums may not be the first flower you think about when thinking about cut flower growing but they make up for any shortfalling in this department by overflowing with old world charm. Most folk are aware that the young leaves and the flowers can be used in salads and pastas…and that they can be used to attract Black fly away from runner beans but the main reason I grow them is because I like them loitering around the garden looking all cheery and Mediterranean. My favourites are the climbing and scrambling variety which like to do their own thing and cover everything in their path with flowery love. 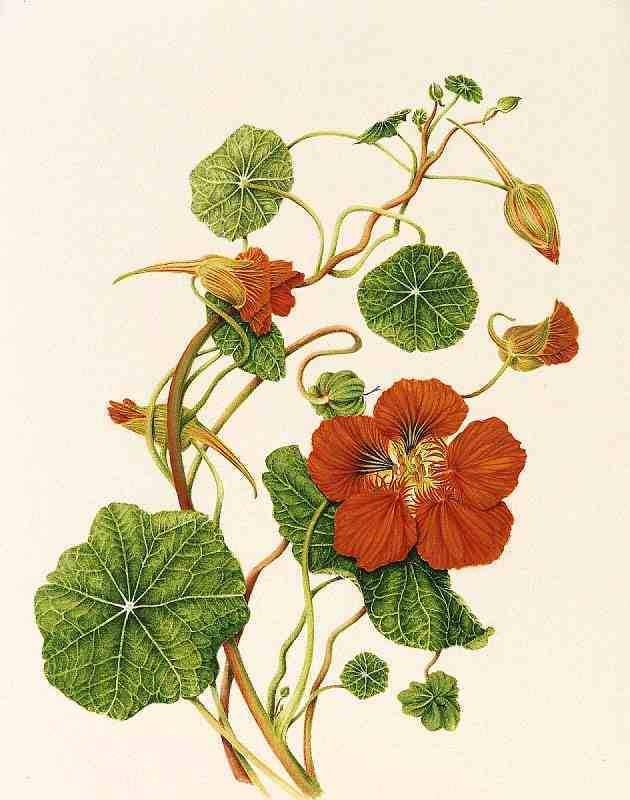 “Nasturtium flowers are versatile; attractive in the landscape and useful in the garden. Nasturtium plants are fully edible and growing nasturtiums can be used to lure aphids away from other plants in the garden. Nasturtium plants are easy to grow and may be climbing, cascading or bushy. 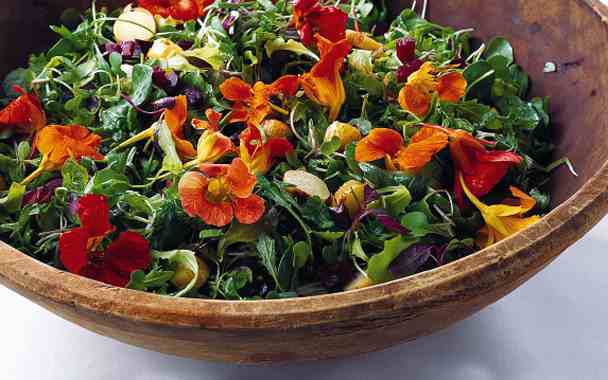 Care of nasturtiums is minimal; in fact, nasturtium plants are one of those specimens that thrive on neglect. Rich, fertile soil or too much fertilizer results in lush foliage growth and few nasturtium flowers. 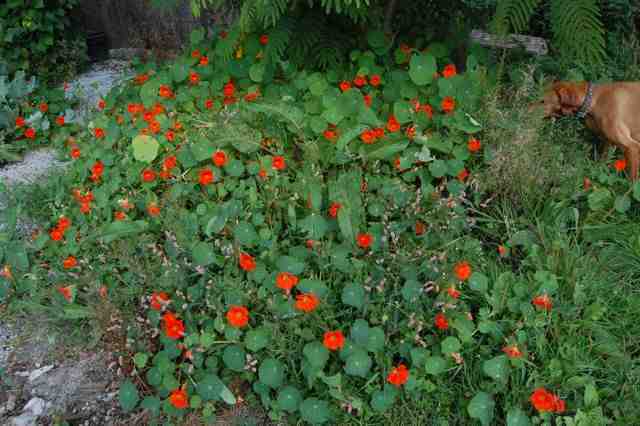 *Nasturtiums seem to prefer growing where they are sown rather than being transplanted from pots. I direct sow in April…but I usually get MUCH bigger plants from the ones that have self seeded the previous year….they easily overwinter here in Cornwall. *Make sure your bed is weed free before you sow. *Make sure the bed gets lots of sun. 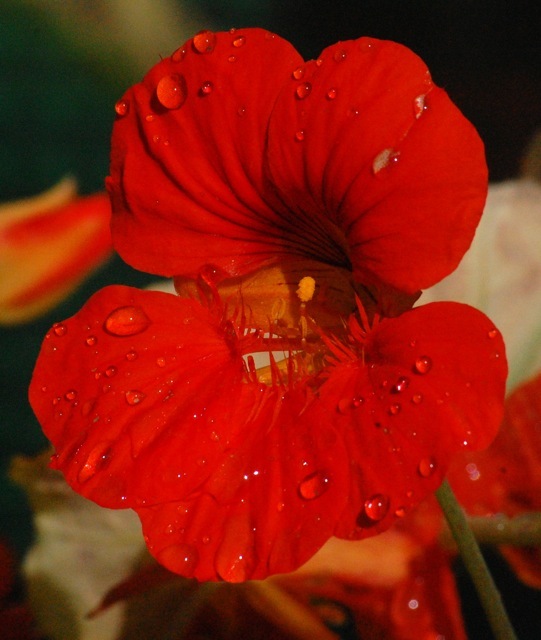 *Nasturtiums aren’t keen on soil that is too rich…a poor and gritty soil is their favourite place to hang out. *I am fond the wonderful and warm reds of ‘Scarlet Munchkin’….it is a climber (Or trailer) too….a great variety. A Bee Friendly Cutting Patch From Seed. Cleome From Seed.